The OHN-D series has two screens to highlight brilliant content and graphics on each side. 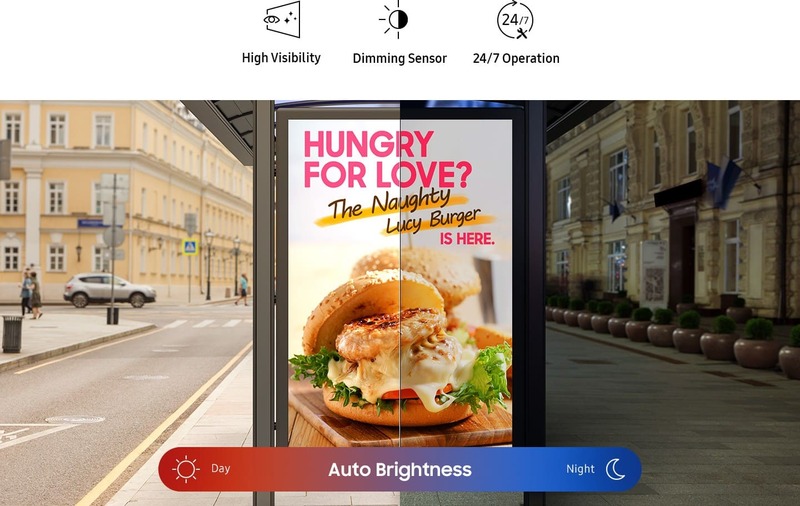 With 3,000nit brightness on both sides of the display, users can double their marketing in one location with vibrant content. 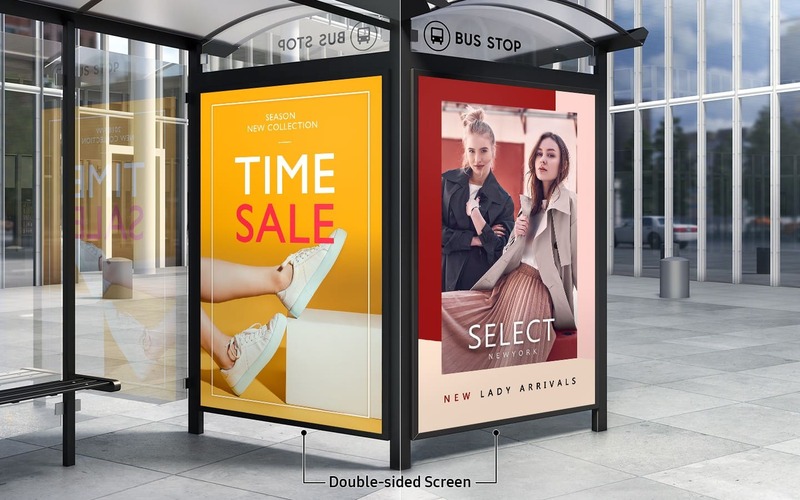 Its slim design is ideal for a bus shelter or street billboards. The OHN-D series allows for exceptional, consistent content delivery with 3,000nit brightness and 24/7 performance. With a built-in dimming sensor, the display automatically adjusts the brightness based on the external lighting environment, saving display operating expenses and power consumption. 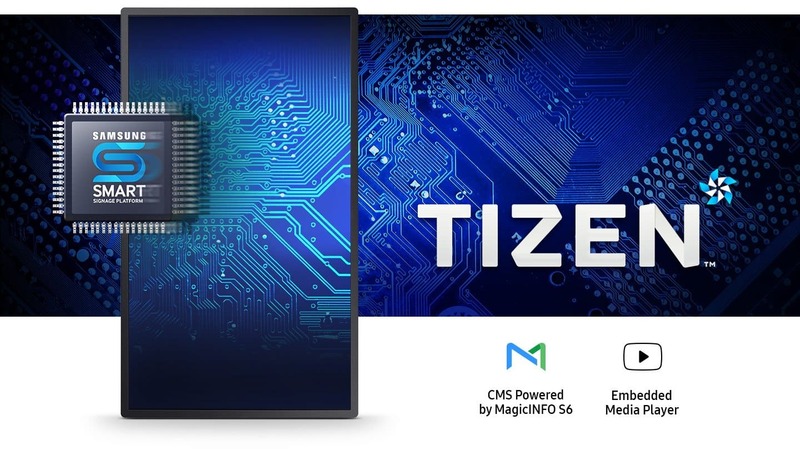 The embedded MagicINFO Player S6, backed by the powerful TIZEN operating system, boosts the displays overall performance, allows for painless content management and ensures seamless transition and playback. The OHN-D series is verified to perform in any outdoor setting. 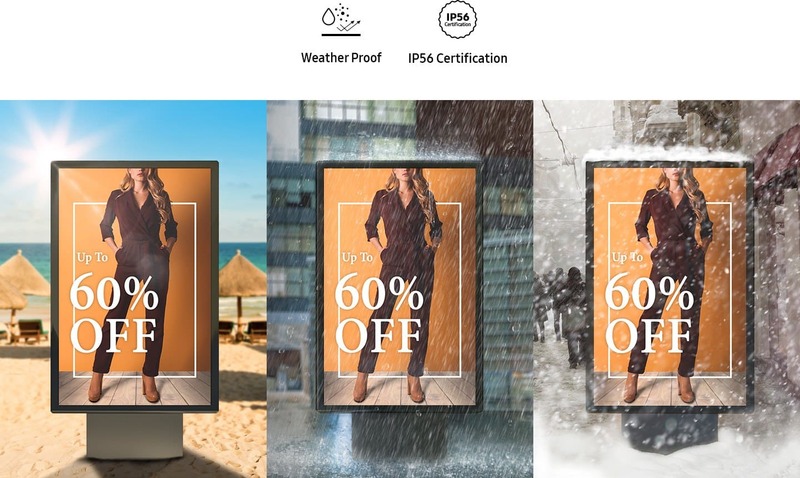 IP56-rated protection* ensures the OHN series will that withstand physical impact as well as dust**, humidity or other outdoor elements that could affect the display. **Ingress of dust is not entirely prevented, but it must not enter in sufficient quantity to interfere with the satisfactory operation of the equipment.